Sainsbury’s have announced the first drop in sales in nine years. The company’s trading figures show that they sold 3.1% less in the first three months this year than for a long time. Indeed, in many previous quarters, Sainsbury’s had increased sales. The figures from the company are being dressed up in fancy rhetoric about the recession and the fact that people have to budget when they are facing rising electricity and gas prices. Sainsbury’s is also very keen to point out it has retained market share. But the real issue is price. Well, not price exactly, but focusing the buyer’s mind on price. Indeed in an interview with BBC Radio Five Live this morning, the Sainsbury’s boss, Justin King, said in response to a question about prices that people prefer value – and then went on to explain how Sainsbury’s provided lower prices with its “Brand Match” scheme and with its “own label” items. Even though the boss wants to suggest that price is not the only factor he seemed unable to stop himself from focusing the listener on price. This is the fundamental flaw in thinking at supermarkets. When people are not focused on price they do not consider it to be a priority. 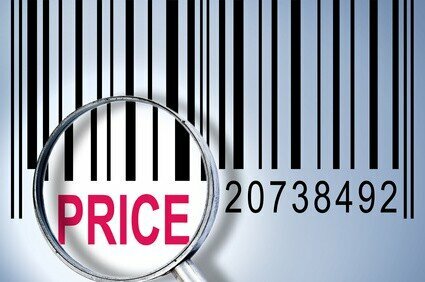 When the shop focuses the customer’s mind on price, it becomes the number one priority. Simply by focusing our minds on price the supermarkets take the price issue from relatively small consideration, to the number one factor. Consider the claim by Sainsbury’s that is the prevailing economic issues of the past five or six years that are part of the conundrum. Possibly. Yet in those restrained economic times we have seen, for instance, Ferrari have record sales and Apple continue to sell highly expensive phones and computers with no discounting. Neither of these companies focus the mind of their buyers on price. Instead, they focus on quality and the psychological attachment between the product and the individual. Once that takes place, people find it easier to find the money. Indeed, in my book Click.ology on page 71, I explain how discounts often work against you. Essentially, when you focus people on prices they have a psychological motivation to try to “beat you”. They want to find an even cheaper version; it becomes a game. In supermarkets you can see this happening every day. People walk up and down aisles trying to save a penny or two. Yet if they are buying expensive jewellery they rarely do comparison shopping, justifying their over-priced and expensive purchase on other factors. Sainsbury’s needs our sympathy, though. They are forced into focusing on price because their competitors do the same. It needs a brave supermarket CEO to stop the price comparisons in order to get customers focused on other issues. It should be a lesson to us all, though. The more you focus people on price the more they will want to beat you down even further. The more you focus on the psychological connection between the product you are selling and the customer, the less concerned they become about prices. In other words, do not commoditise your products and services. It is a route to problems.